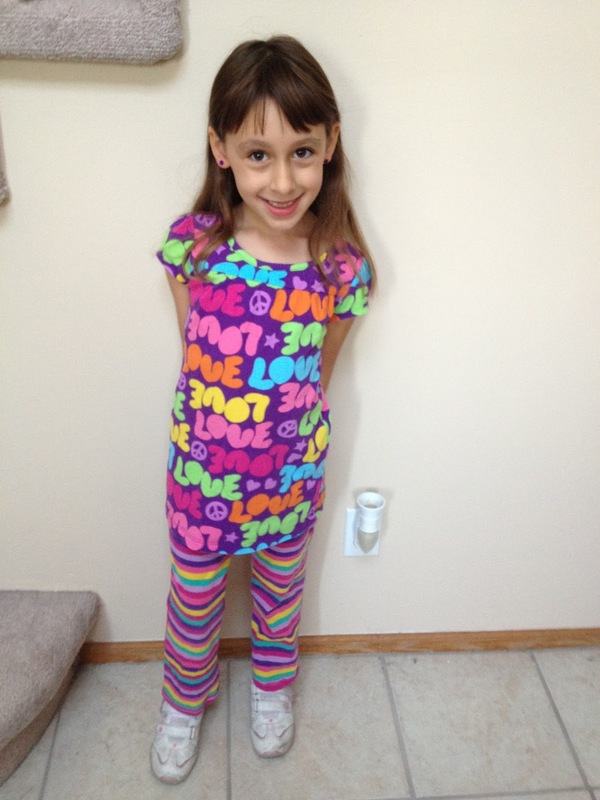 One of her favorite shirts actually matches one of my favorite pairs of leggings. 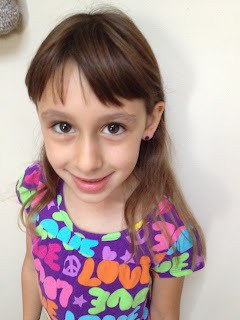 She had to accessorize with her stick-on jewels (earrings). She picked matching purple, of course.